Amazing stories of faith from twenty centuries of church history! From the Roman Empire to the Reformation, St. Valentine to St. Francis, Martin Luther to Billy Graham, On This Day introduces you to a parade of preachers, martyrs, heroes, and saints. Intriguing and inspiring stories from 2,000 years of Christianity offer an enjoyable glimpse into church history. 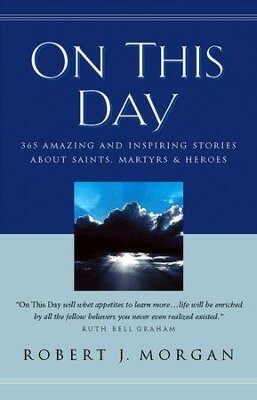 On This Day is 365 simple, colorful stories about history-making events in the lives of people who love God wholeheartedly. On This Day brings a year's worth of inspiration and spiritual challenge as you learn what some Christians went through for the love of God. 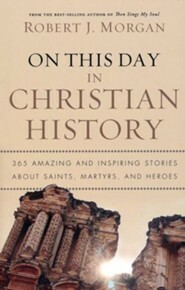 "On this Day is an exciting book that recaptures the history of Christianity. It is practical, profound, and powerful! I highly recommend it." On This Day will whet appetites to learn more . . . life will be enriched by all the fellow believers you never even realized existed." "A fascinating collection of vignettes." 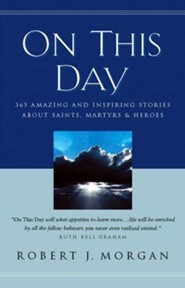 I'm the author/artist and I want to review On This Day: 365 Amazing and Inspiring Stories about Saints, Martyrs and Heroes - eBook.